“It’s time.” That was the reaction of Cuban-born Jorge Fernandez to the March 20-22 visit by President Barack Obama to Cuba. Of course Fernandez, a leading voice in Philadelphia’s Cuban Catholic and civic community, has felt that way for quite some time. The difference now is the number of Cubans, either refugee or U.S. born who still oppose a normalization of relations between the two countries, grows less and less every year, even in Miami where many Cubans came as refugees and settled after the Cuban revolution. He well remembers the Cuba of his childhood from which his family fled and the plight of friends and relatives who were imprisoned after the failed Bay of Pigs counter revolution, but that is the past. He also senses the opposition to normalization of relations between the U.S. and Cuba, including among Republicans, is diminishing. 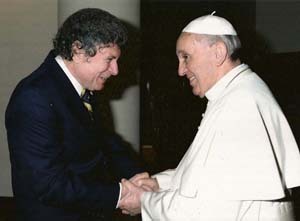 A former Fortune 500 executive and former member of the Archdiocesan Pastoral Council, Fernandez has been pushing for better relations for decades, especially after Pope John Paul II’s visit to Cuba in 1988. 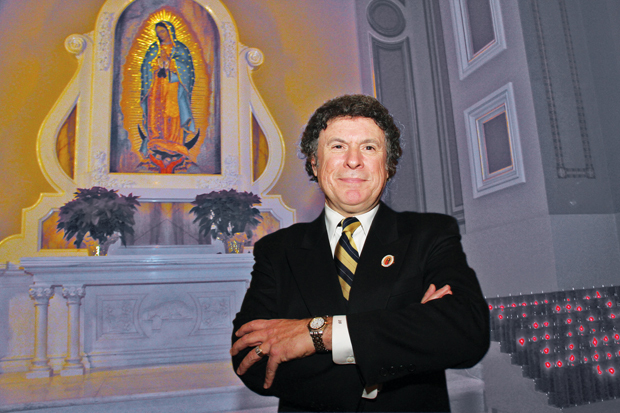 Fernandez, a member of Our Lady of Guadalupe Parish in Buckingham, has been back to the island many times including during the visits by Pope Benedict and most recently Pope Francis. Next week he will be leading a group from Sarasota, Florida for a pilgrimage to the sites visited by Pope Francis. “I remember how nasty it was when the Russians arrived there and they took down the crucifixes in the classrooms,” he said. Changes have been most marked in Cuba since 2008, when Raul Castro took over the leadership from his brother, Fidel. On the positive side Cubans can now own their own business in about 300 categories, Fernandez noted, they can purchase their house or apartment if they have the funds and they can go anywhere in the world, including the United States. There is a new Catholic seminary outside of Havana, the archdiocese has begun a newspaper, a new church is being built and the numbers of Catholic baptisms and weddings are up. “One Cuban told me it is trendy to be Catholic in Cuba now,” Fernandez said. He insists the people of Cuba have never harbored ill feeling toward the United States, but the tensions have been between the governments in Washington and Havana. He also wonders why the U.S. established relations with China, which is now America’s largest trading partner in spite of China’s clear repression of religion and civil rights, but haven’t done so with Cuba.